Always give your Freebord a safety check before you ride. 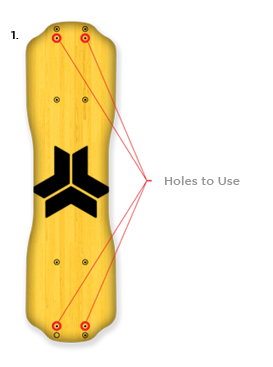 Check for wear and tear on the wheels, deck, trucks and bindings. 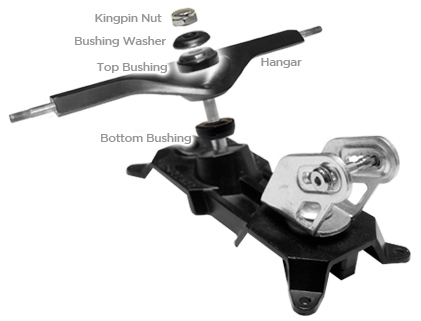 Check all nuts and bolts to make sure they are tight (including wheel and kingpin nuts). Every rider is different and how you tune your board will have a big impact on how fast you learn and how well you ride. 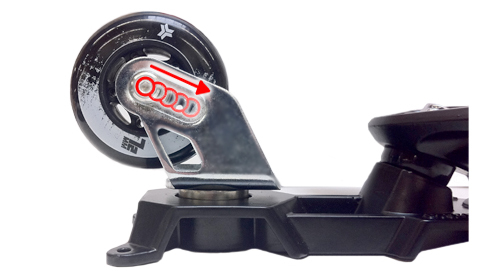 Experiment with the following adjustments to figure out how to adjust your board to best fit your riding style. Is your castor lubed? If not, a quick glob of Vaseline will do the trick. Do not use a water-based lubricant as it will wear out faster than a petroleum based product. 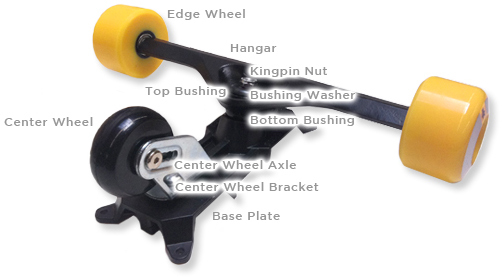 While your base is off, check to see the cam axle is centered and your center wheel points straight. Also check to see your cam is still egg-shaped and in one piece.Is your pivot cup good? Check to see that first off you have one and secondly that it is not cracked or torn. 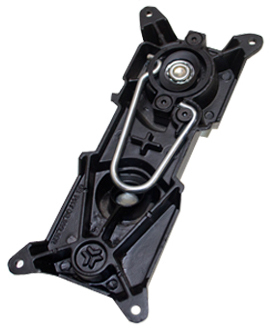 A missing or damaged pivot cup will greatly affect your board’s turning ability.Do you have springs? If not, put them back in or e-mail us about replacements. Do not take them out! Over time you will definitely have to replace your wheels. Wheels can last anywhere from 2 weeks to 4 months depending on how often you ride, the type and steepness of the pavement you ride, how much you slide, and your weight. Most riders favor one side on their slides. To help you wheels last longer, rotate them every so often. 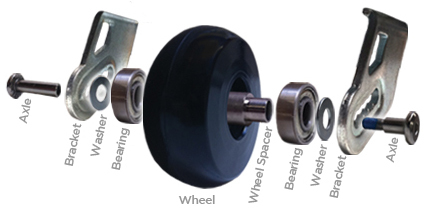 with any bearing type, sealed or not.